Product #60838 | SKU D71-H | 0.0 (no ratings yet) Thanks for your rating! Features a wide view angle IPS Screen, with a high resolution 1280 x 800, bright, colourful display. 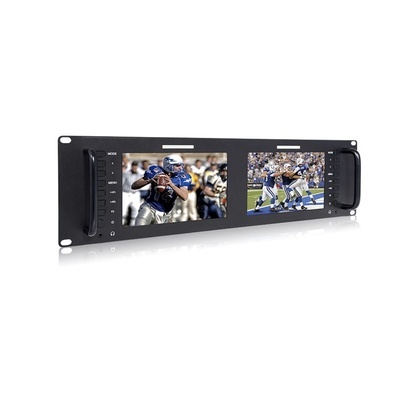 The FeelWorld Dual 7" Display Monitors, 3-Rack Unit features a slim design and a 3-Rack Unit size. The wide view angle IPS Screen, features a high resolution 1280 x 800, bright, colourful display. The software can be controlled via an ethernet connection.